New Delhi [India], Jan 4 (ANI): The postmortem report of Archana Singh, who died after being hit by a bullet fired during New Year's celebration on December 31, last year by JD(U) MLA Raju Singh, stated that she was "shot by a pistol and not by a rifle". Hyderabad (Telangana) [India], Oct 10 (ANI): Circle Inspector of Ghatkesar police station said the bodies of some dogs that were allegedly poisoned earlier this month have been sent for postmortem. Muzaffarnagar (Uttar Pradesh) [India], July 29 (ANI): A woman and her son were killed after a roof of their house collapsed in Uttar Pradesh's Muzaffarnagar city on Sunday morning. New Delhi [India], July 26 (ANI): Just a day after three sisters were found dead in the Mandawali area of east Delhi, the postmortem reports have shown that the reason behind the trio's death was starvation as their stomach was absolutely empty. New Delhi (India), July 26 (ANI): Delhi Police Crime Branch wrote to the Central Bureau of Investigation's Central Forensic Science Laboratory demanding psychological postmortem to be conducted in connection with the Burari death case. Alwar (Rajasthan) [India], July 24 (ANI): Rakbar Khan, who was allegedly beaten to death by a mob on suspicion of cow smuggling in Rajasthan's Alwar district last week, died of "shock as a result of ante-mortem injuries sustained over body," according to the postmortem report on Tuesday . Chennai (Tamil Nadu) [India], May 30 (ANI): Madras High Court on Wednesday ordered re-postmortem of bodies of seven people who died during the anti-Sterlite protest in Tamil Nadu's Thoothukudi district last week. Surat (Gujarat) [India] April 14 (ANI): Police have found body of a nine-year-old girl in Surat with 86 injury marks in Surat. 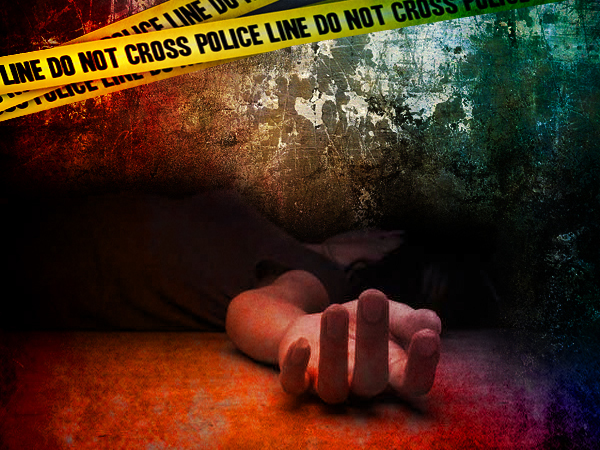 Kannuj (Uttar Pradesh) [India], Apr 1 (ANI): A teenage couple in Uttar Pradesh's Kannauj district allegedly committed suicide after their families refused to accept their relationship. Raipur (Chhattisgarh) [India], Mar 4 (ANI): Incredible as it may sound, a farmer in Chhattisgarh's Koriya district has landed in a legal soup for killing a goat for trespassing.